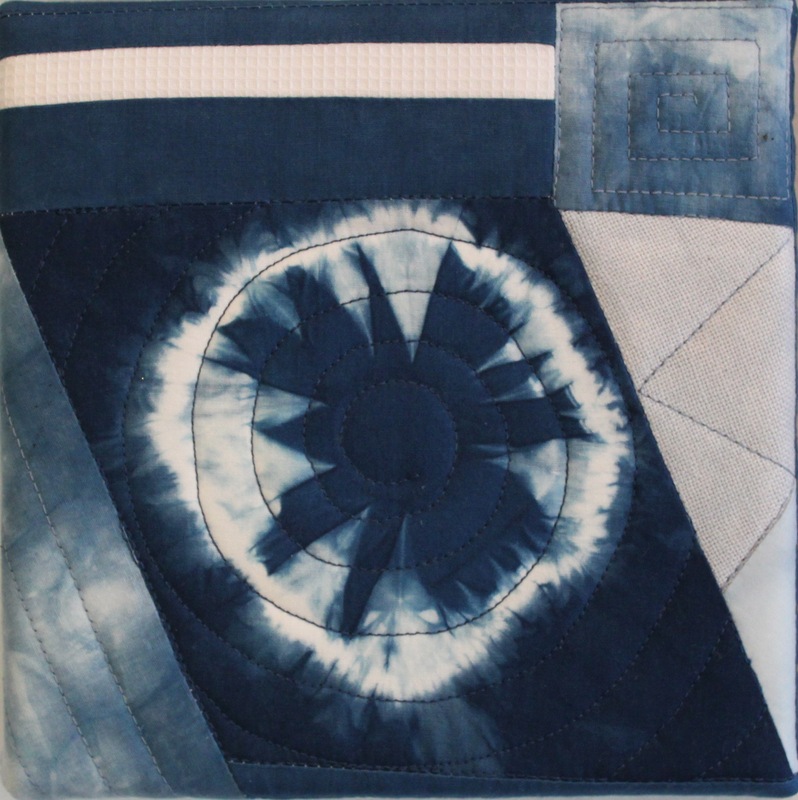 Indigo dipped cotton, linen and white pique are combined to create four individual pieces of textile art. 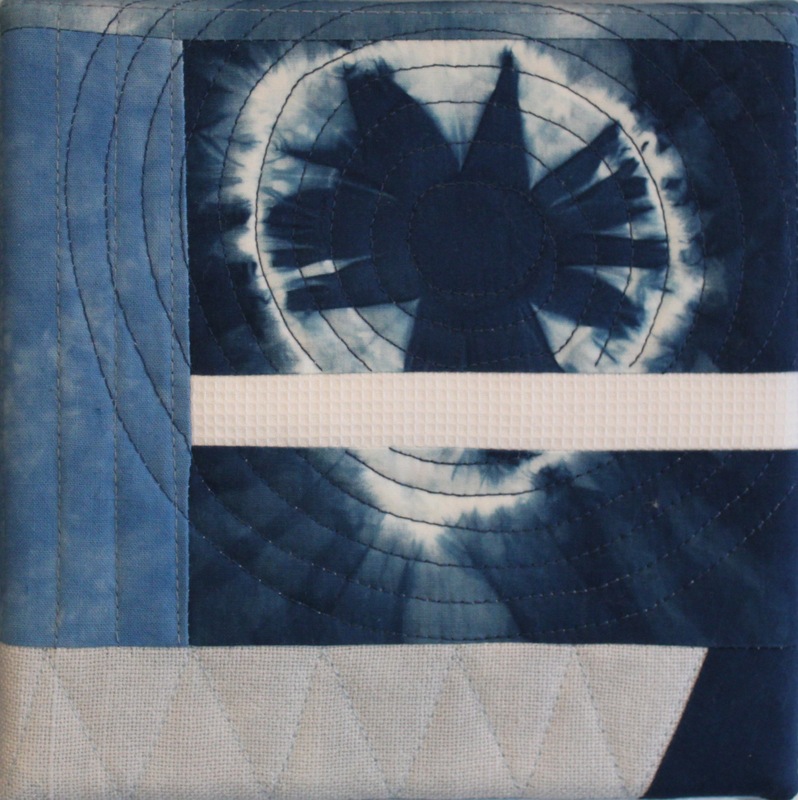 Machine quilting adds beautiful texture. 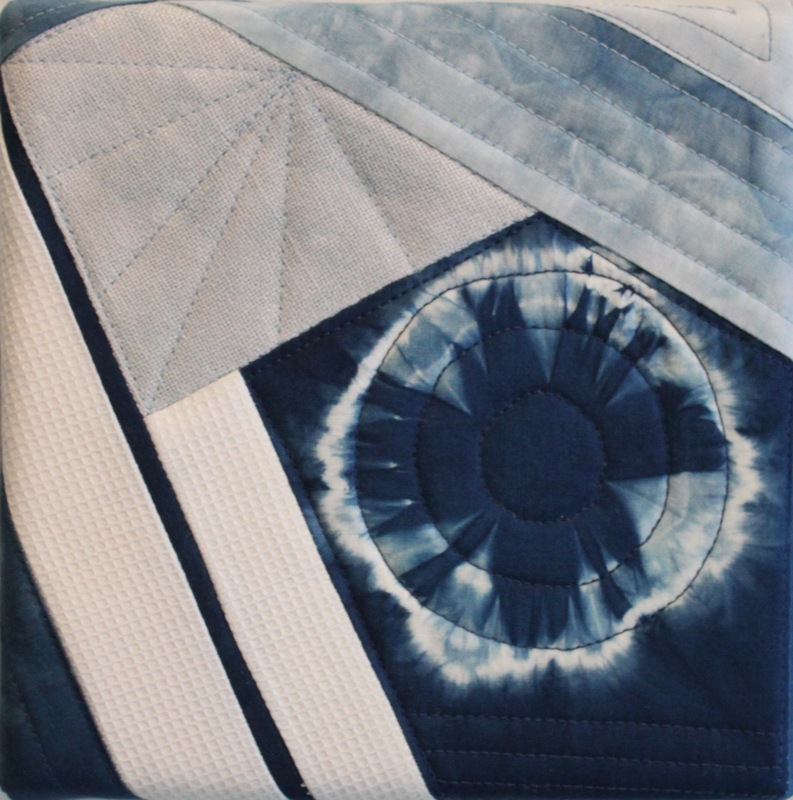 Each textile painting is wrapped over a 6″ square gallery canvas. 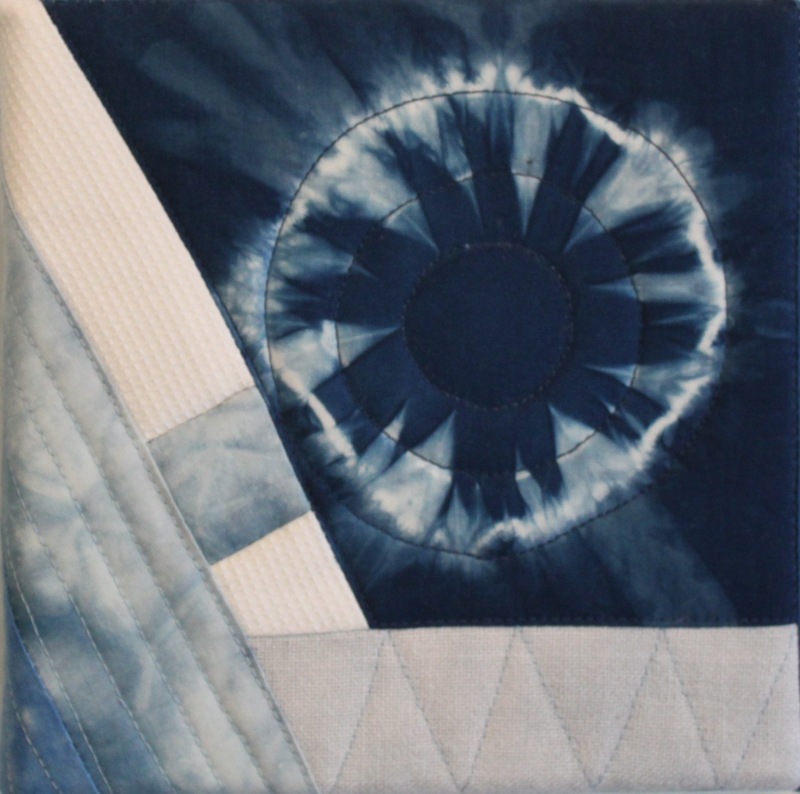 These textile paintings can be displayed individually or grouped in twos or fours to create a diptych or a tetraptych. If you are interested in having unique artwork to display in your home, contact me, I am happy to ship directly to you. 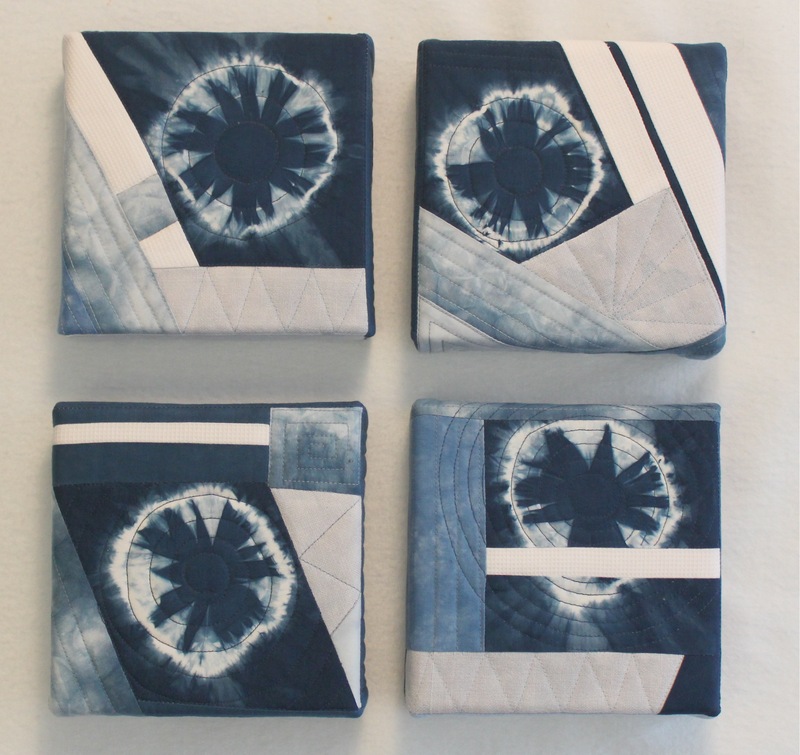 How would you choose to display these Indigo Bursts?